Yes - I want to give a sea turtle a second chance at life today! Loggerhead sea turtles are threatened by fishing hooks, ship collisions and entanglement. 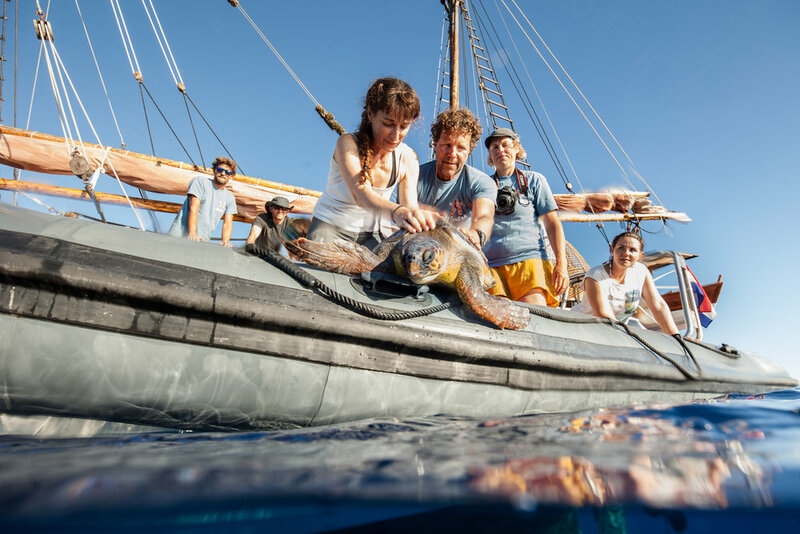 We need your help to continue our research and conservation program for loggerhead sea turtles in the Mediterranean ecosystem. Every donation will go towards our loggerhead sea turtle conservation program. For every turtle adopted, you will receive a Certificate of Adoption and other gifts, and you will be able to track your turtle online in real time. Our conservation work has managed to reduce sea turtle by-catch in the Spanish Mediterranean by over 95%. Getting caught in longlines, nets, trawls and traps is the main cause of the decline of loggerhead turtles, and the current primary threat to global populations. Loggerheads can become hooked in the mouth or another part of their body when trying to consume bait, or entangled in nets or ropes. Our conservation work at ALNITAK has aimed to reduce some of the threats facing these animals. Using satellite tagging technology and working directly with longline fishing fleets, we were able to change fishing practices dangerous to sea turtles. 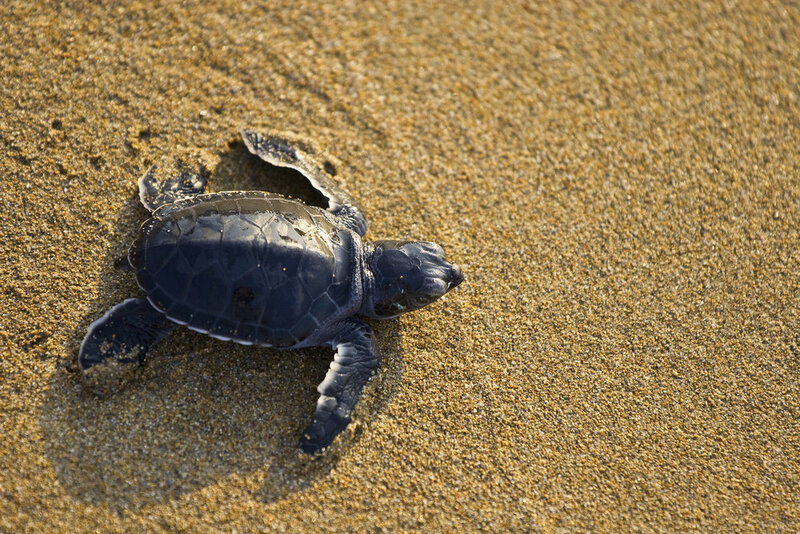 Loggerhead sea turtles are ancient mariners of the underwater world. They can find their way across oceans and mature females will often journey across the Atlantic Ocean to lay their eggs in the same beach where they hatched. Their shells can act as an “oasis” for fish out in the open ocean. They become encrusted with algae and barnacles during long trans-oceanic journeys, they also attract schools of small fish and even larger pelagic species, like tuna. These provide a temporary haven for open water species and make sea turtles a valuable part of the oceanic ecosystem. Loggerheads can hold their breath underwater for hours if they are resting. However, when a turtle gets entangled in a fishing net and is under stress, it can drown in a few minutes. This summer we’re studying Mediterranean and Atlantic populations of sea turtles with our OASIS Project. We’re continuing our “tag and release” protocol, focusing on how marine debris affects these species. The satellite tags we use are non-invasive and harmless to the turtles, but provide us with valuable data. 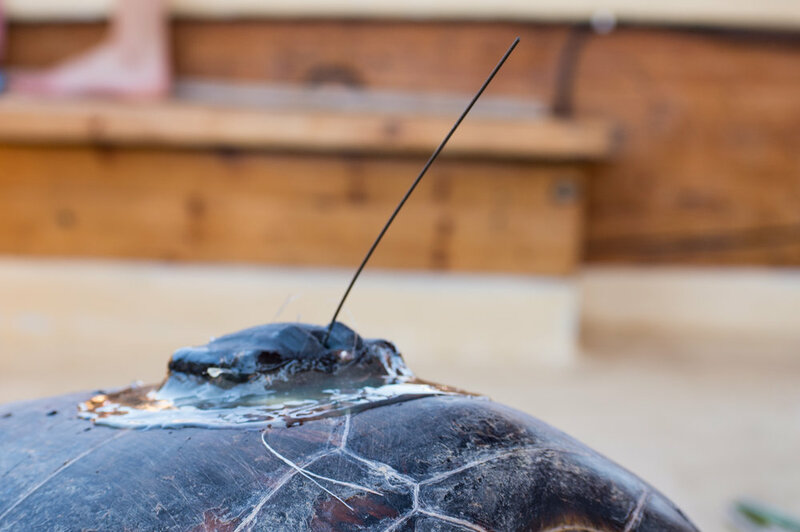 Each time the turtle rises to the surface, its transmitter emits a satellite signal with position, dive pattern and temperature data. The information we receive from our “turtle oceanographers” will be used to help us establish protected areas for these animals and the ecosystem they live in. This research is supported by Proyecto Libera and the Fundación Reina Sofía, who donated satellite tags to our 2018 project. THANK YOU FOR HELPING US SAVE THE LOGGERHEAD SEA TURTLE!